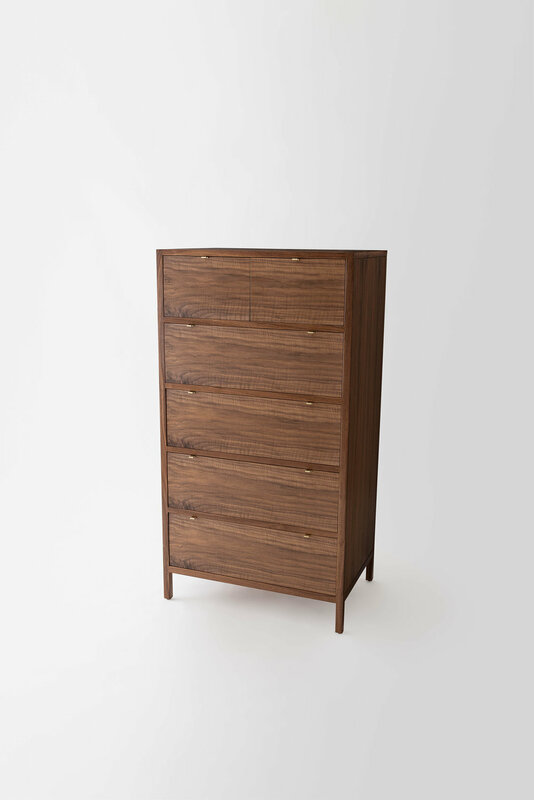 The Laska dresser is built in our Brooklyn studio using premium hardwoods and thoughtfully selected wood veneers. This piece features custom veneered panels framed flush with solid hardwood edges and legs. Shown as a six drawer highboy configuration, the chest of drawers allows ample storage with either solid maple or matching species drawers. The drawer pulls are machined in house from solid brass. Available in a multitude of sizes and configurations. Available in domestic hardwoods, oil and wax finish, custom brass drawer pulls. 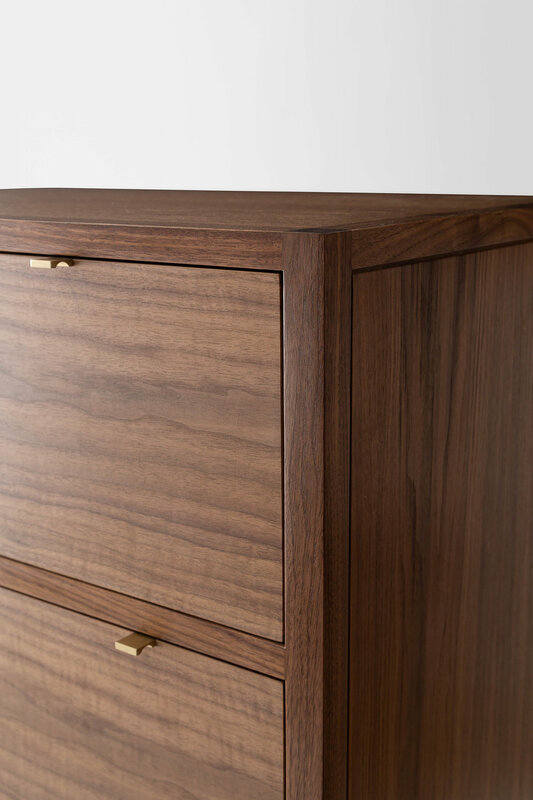 Shown in American Walnut, with Maple drawers.